A Malawian man from Nkhotakota district died on Sunday after taking Kachasu on an empty stomach. 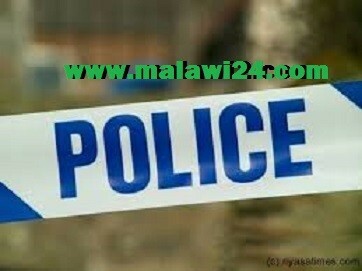 Nkhotakota Police confirmed the death of 47 year old Francis Phiri. According to Police Spokesperson Williams Kaponda the deceased was found lying helplessly by the road side to his home. “As the well wishers took him home he did not improve and rushed him to Nkhotakota District Hospital but he died along the way” said Kaponda. Postmorterm indicated that Phiri died due to excessive alcohol consumption on an empty stomach. The deceased hailed from Sasani Village,Traditional Authority Malengachanzi in Nkhotakota. IMFA NDIIMFA .NZIMU WAKE UUSE MUNTENDERE. Iwe Jada takungunuka mwamuthuyo auka. kkkkkk…. Shaaaa! !,his children are fatherless now,eish!problem. Akanaphka mango adye b4 kumwa kacaso wakeyo. Zadala akamamwa amati ndi mbiyang’ambe iwowo ndiye pano kachasu wang’amba mimbayo. Ndikhalidwe lake #FrancisPhiri lomamwa kachasu nkumamwalira, mwezi watha adaterenso…sidzachilendo izi kwa amene tikumudziwa..
wa noma zapweteka,rest in peace manoma! Enanu samalani ndi Kachasu chofunika ndi kulandila Yesu basi.